First of all, Selamat Hari Raya to all of y’all! I hope your Ramadan went well, insyaaAllah. My stomach can’t take all the ketupat/rendang/satay assault for the past 2 days you guys. Thankfully Ramadan is over and we can start exercising normally again! During one of the Ramadan weekends my family and I had our iftar at the zi char place Rasa Istimewa C2K, which is located at Choa Chu Kang Park. I actually really love the place because the food is always really good and it’s kind of perfect for a low-key, satisfying dinner with the fam. The decor is kind of kitschy and eclectic, but I am grateful for the ubiquity of ceiling fans. 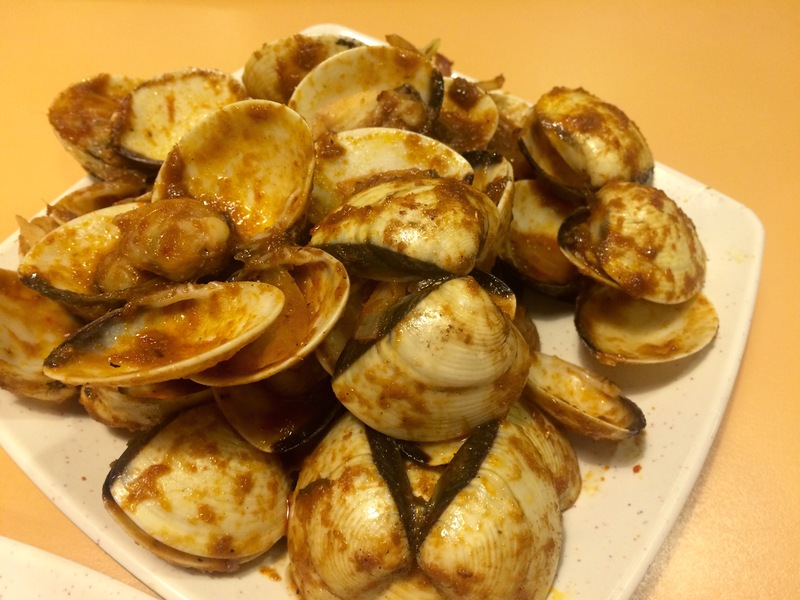 Halal zi char/seafood places are kind of few and far between in the West, particularly compared to areas like Chai Chee, teeming with competing halal seafood restaurants, so I am really grateful this place exists! Where good halal food congregates…in my mouth and belly, maybe. We like to start off with some Satay ($0.60 a stick for beef/chicken/babat, and $0.70 a stick for mutton). We ordered 20 mutton and 10 chicken this time. I LOVE mutton satay; they’re just so juicy and satisfying; much more so than chicken, which my younger brother prefers. So my family will drive up to JB once in a while to have some cheap seafood; the satay there somehow is at best on par with the ones at Rasa Istimewa, and I find the sticks here much meatier than the anemic onces across the causeway. I suppose those places in JB cater almost exclusively to Singaporean tourists and don’t feel the need to improve their satay. But really, the satay at Rasa Istimewa is savoury, sweet, juicy, and super flavourful. LOVE. The peanut sauce is also surprisingly decent – spicy, and rich. 9/10 for the satay here! The bulk of our order here is made of the Set Menu 1 for 4-6 pax ($88 excluding 7% GST). The first dish of the set is the fish; you can choose between Grouper or Siakap fish, and my family always picks the Grouper Fish in Tiga Rasa (tri-flavour) Sauce. I think they must mean sweet, sour, and spicy? Who even knows. Item number two is prawns with a choice of 5 different cooking styles – cereal butter, black pepper, nyonya style, sambal chili, and sweet & sour. Our choice is the Cereal Butter Prawns. The third dish of the set is chicken with a choice of 5 styles. I’m not even going to talk about the others – the Prawn Paste Chicken is Rasa Istimewa’s specialty and I LOVE IT. YUMMMM. Look at how crispy and un-oily it looks. The fourth dish is the vegetable course – I always go for the Kangkong Belacan because that’s really my favourite dish at every seafood/zi char place. Rasa Istimewa usually does them pretty well, but on this particular visit I found the kangkong to be a little dry and bland. I think they didn’t cook it in enough belacan sauce, which is a huge pity. Subjectively I loved it anyway and ate almost all of it, but I know objectively it could be better if the kangkong were coated in more sauce and if the taste had been stronger. 7/10 this time around. Not too inspiring, I must say. Plus those crabsticks are just not ideal. I LOVE salted egg dishes!! They’re really so, SO good. Rasa Istimewa’s rendition of the salted egg squid is laudable; they don’t skimp on the salted egg taste; plus, they garnish with – what else – coriander! My absolute favourite garnish. A respectable 8.5/10 for this dish. 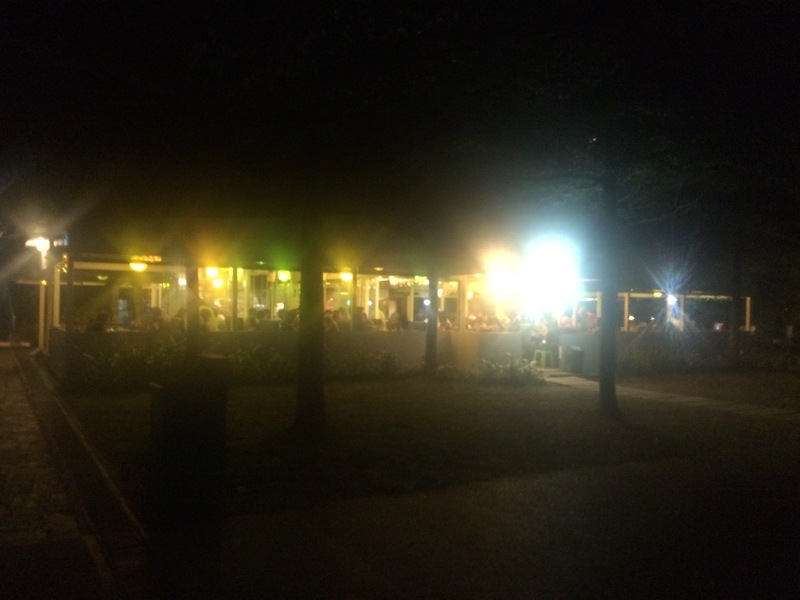 A night view of the restaurant from afar. Below is a gallery of the full menu so you guys can decide in advance what you’d like to eat there. Happy selecting! Oh I almost forgot – please try the sour plum ice blended drink here! It’s SO yummmmm and provides a refreshing counterpoint to all of the food you’ll be eating! Daily: 10.30 a.m. to 10 p.m. Earlier this week, I found myself running through the list of restaurants at Changi Airport, looking for a suitable halal place to break my fast. I was in Ho Chi Minh for a short work trip, and was going to fly back to Singapore later that evening. After looking through the list, which included Swensens, 4 Fingers, and Central Thai, I finally settled on Penang Culture. Tucked away at the back of the 3rd floor above the Departure level at Changi Airport’s Terminal 2, Penang Culture serves authentic street food in airconditioned comfort, though of course it is priced at a premium to ordinary hawker fare. I landed around 710 pm and was dying of hunger by the time I reached the restaurant 15 minutes later – luckily, each table gets a basket of prawn crackers, the kinds they usually dole out in Indonesian restaurants. I confess I did not take a photo of it as I was too busy stuffing my face, but it was there, swear. Some of the keropoks were lemau (not as crispy as they should have been), but they tasted good and helped tide me over as I waited for our orders. What also helped was the self-service water stations at one corner of the restaurant, since it meant I didn’t have to wait to quench my thirst. All in all, Penang Culture is a great spot if you’re looking for a halal option at Changi Airport. I would definitely come back for the food! As promised, here’s a gallery of the menu. You can also find it online when you click here. I LOVE good dim sum. Unfortunately, it’s so hard to find halal ones in Singapore outside of the usual suspects like Tang Tea House. 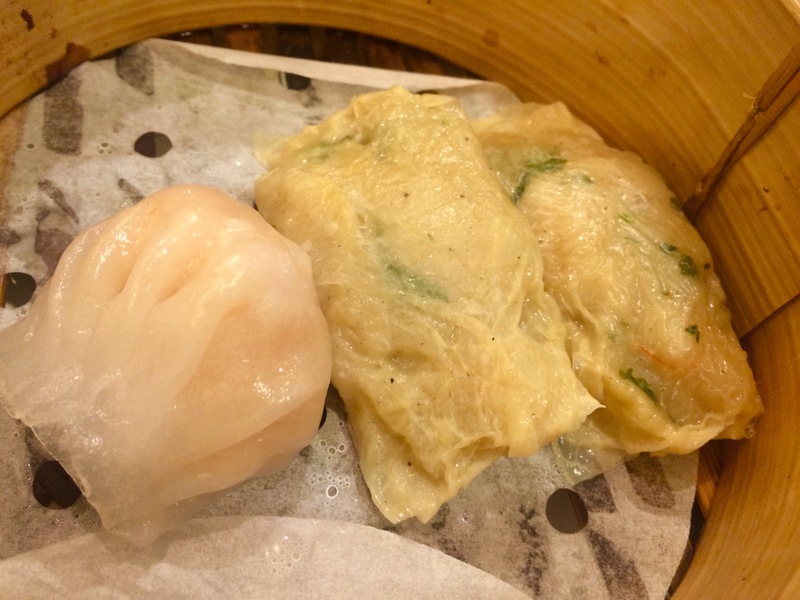 I despaired of finding halal dim sum west of Bedok until a couple of months ago, when my friends brought me to Kowloon Express at Chinatown Point, near Clarke Quay. 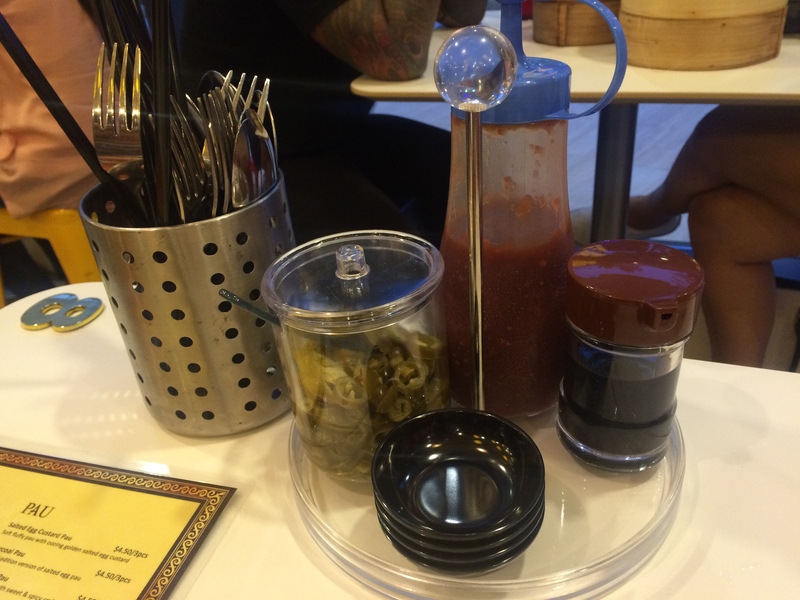 It wasn’t a restaurant; it was a takeaway kiosk where you could order super yummy halal dim sum to go. You could even buy frozen packs of it to bring home and DIY. The auntie working that night told us the owners were planning to open their first brick and mortar outlet in Clementi, and boy were we excited when we found out a month ago that the new restaurant was finally ready! So much better than all the Keep Calm signs. 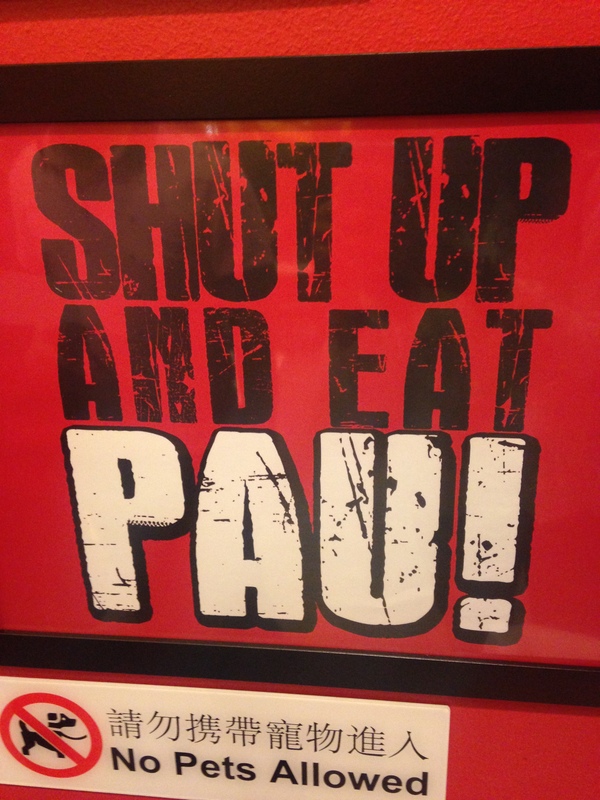 Also, I saw another one that said No Pau No Power. So great. Differentiating itself from the Chinatown Point Kiosk, Clementi’s Kowloon Express also offers other dishes, along with noodles and rice, on top of the standard dim sum fare. Good to have, in my opinion, but I plan to gorge myself on baskets upon baskets of dim sum, thank you. Upon deciding our orders, we were made to fill in the order form before passing it to the servers. I ordered both the regular and the charcoal ones – they were both amazing. The texture of the bun is perfect – smooth and a little waxy on the outside, but once you get past the initial coat you get this chewy, fluffy, thick bun whose quality is just top notch. If I pay just a little attention, I can taste the difference between the regular white bun and the charcoal one. For certain, the charcoal bun tastes better! I can’t explain it, you guys should try! 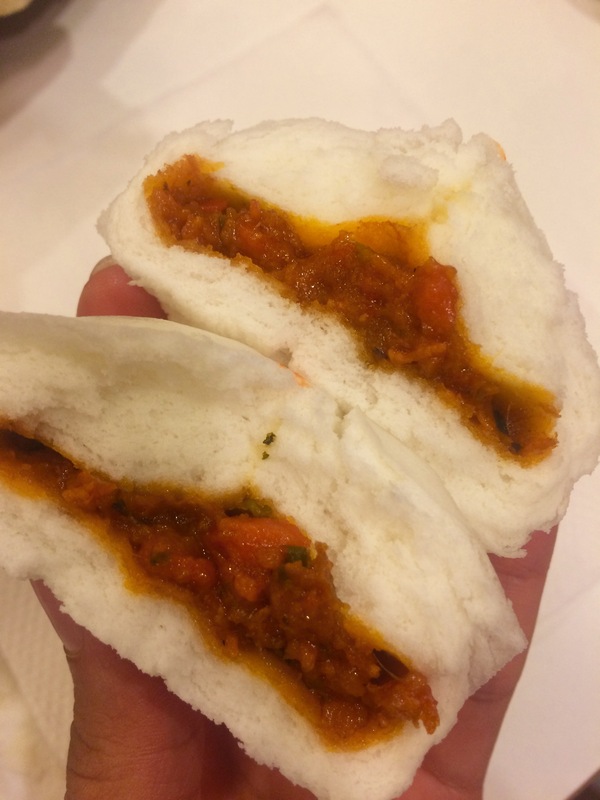 These pau’s of joy are an undoubted 10/10 in my books. The fried version of prawn wrapped in beancurd skin! Really yummy too, but I prefer it steamed. I can’t fault these 3 items either, they were all amazing. My personal preference between the steamed and the fried versions of the Beancurd Prawn would be the steamed one, though with the slimmest of margins. 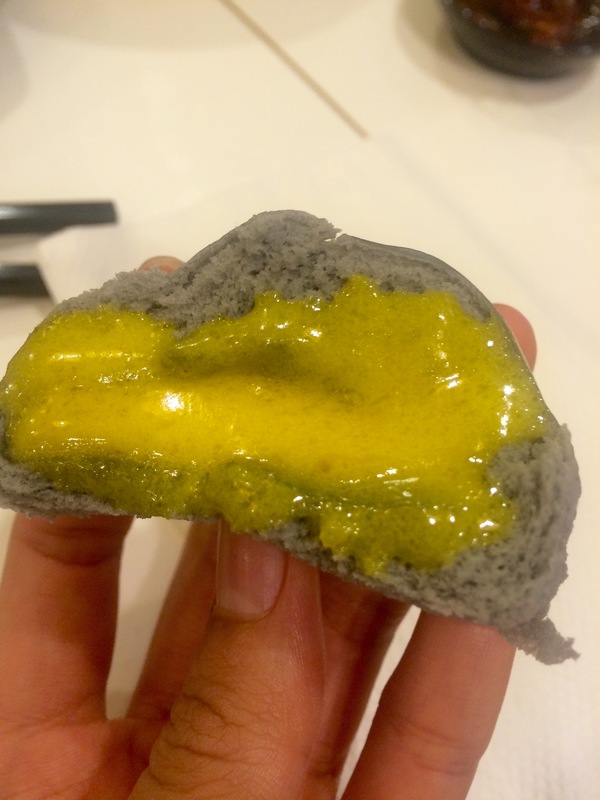 The crystal skin of the har kao dumplings was just right – slightly chewy, did not break too easily, and most importantly not too tough. 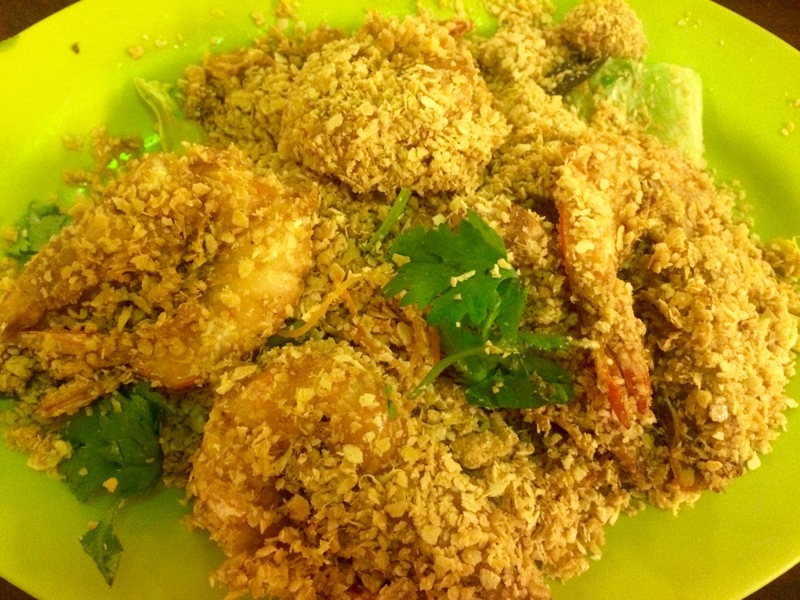 The beancurd prawn was also really, really flavourful. There were these bits of green leaves in it which I think was coriander, and gurl, I luhhhhh coriander. The taste wasn’t too strong, but just enough to keep it interesting. 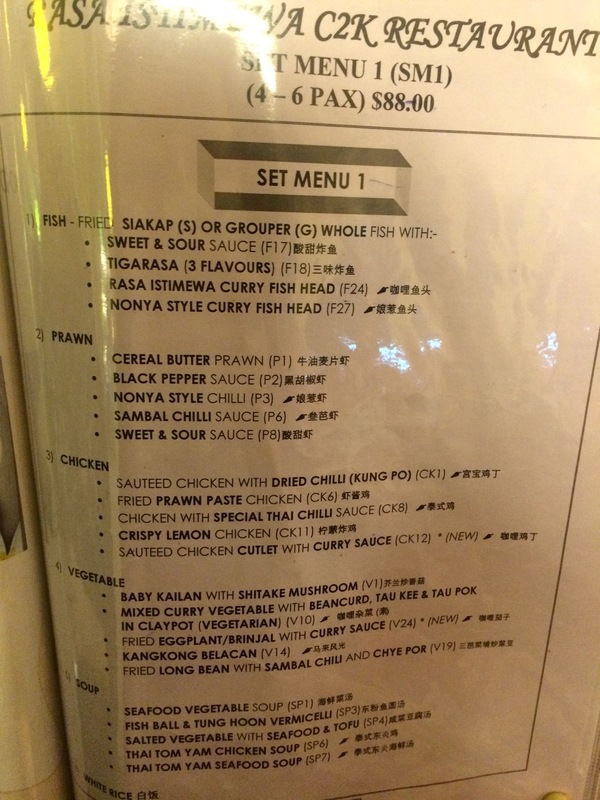 10/10 for the Shrimp Har Kow, 10/10 for the steamed beancurd prawn, and 9.5/10 for the fried beancurd prawn. I really love dates. They taste so nutritious and full of energy after a full day of fasting and feeling concave. Also, a special mention is warranted for the chilli that they serve here, which is truly a marvel. It’s a special homemade recipe that packs a punch. I can’t describe it, it’s just delicious. Please go try it today! I wish they sold them by the bottle! Forget about everything else and go for that chilli in a bottle. Speaking of chairs, I forgot to mention that one of my friends brought along her toddler of almost 2 years, and he loved the salted egg pau, AND he ate the salmon skin as though they were chips! It’s really quite a kid-friendly place. Plus, they have those standard white baby chairs here so you can park your kid in a seat and eat in relative peace. Plus points!